It was two months ago, on April 10th, that I left St. Jean Pied de Port to walk the Camino. A month later, on May 10th, I arrived in Santiago de Compostela. I’d walked all the way. June 10th and it seems another lifetime ago that I walked through those ancient gates heading to Roncesvalles. So much has happened since. So much has changed. I’m not sure I can articulate it, other than I can’t bring myself to put a new battery in my razor. In a much earlier post, whilst on the pilgrimage, I’d written about how complicated my life had become, to the point where I needed to put a battery in my razor to have a shave. And each blade for my Gillette Fusion Power Razor cost $5. For one blade. At the time I asked myself: Where has the simplicity gone? Now at home, this daily act of shaving has become very symbolic. Will I keep shaving with a cheap disposable razor? Will I pay $32 for a pack of 6 new blades? Will I put a battery back in my Gillette Fusion Power Razor? In other words, will I return to the life I once lived, before the Camino? Or will I continue to hang onto those things that I learnt on my pilgrimage. Which is to live life simply. I’m organising a garage sale. I’m giving stuff away to St. Vincent de Paul. And I’m not putting a battery in my razor. 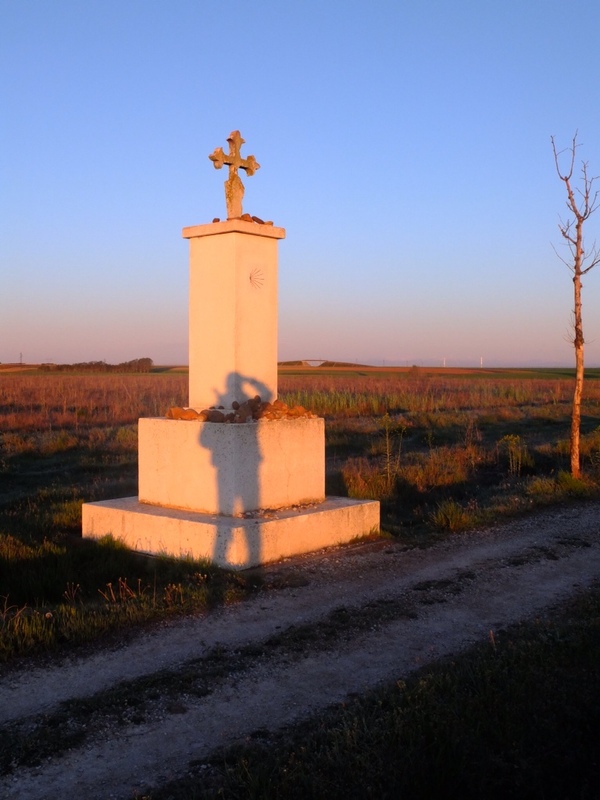 Thank you for sharing your thoughts and reflections of life after your Camino experience. Everyday life can at times seem amazingly complicated and difficult. 1:”Love the Lord your God with all your heart, and with all your soul, and with all your mind. When one thinks about what these 2 commandments really mean and begins to apply them to daily circumstances, live them out, one’s perspective completely changes. Life becomes simple. True submission. True freedom. (I am not expressing myself very well-this sounds kinda preachy, it’s not meant to). Steve I am so looking forward to having time to reflect. This is my reason for walking the Camino. I am happy for you that you are having time for that too, right now. Hi Debra – thank you, and yes – that’s the conclusion I came to during the pilgrimage. The only thing that matters is love. On your knee – don’t do what I did! Get someone to look at your knee. Don’t go through the pain I went through. It might require you doing some exercises to strengthen the surrounding muscles – but I do strongly advise you to have a medico take a look. And Sister Simon Claire said it well: “its not about getting rid of your possessions and living with nothing;its about changing your attitude towards your possessions…” (I think it is hard for us to “change” anything…we have to BE changed. Thank God he has the patience for it!!!) Once changed, we are changed. I don’t think you will go back to how you were before your Camino. Because you are changed. Looking at life from a different place. Because all that matters is love. So I guess if I extrapolate….if it means I can’t walk because of a knee problem, how do I approach/manage this circumstance…..? Ha. Bill, Train to Astorga today and then walked back about 10 kilometers, but no internet here except pay computers. So, my blog will not get out until tomorrow, but so what. Just thought I would let you know. Will try to go through comments on the pay to play computer. Your comment about giving stuff away made me wonder – what does your wife think about all this. Is she ready to simply as well? FYI, my work calendar has unexpectedly(!) opened up in August so I’m back to the Camino, starting in Pamplona where my wife and I stopped last year. I’m fortunate to be married to a woman who is much further down the road with this stuff than me. Every now and then she turns and looks back over her shoulder at me and yells out – Oi, Bill, hurry up. She meditates for an hour every day, she does yoga every day of the year except for her birthday and Christmas Day, and she knows more about cricket than most commentators on TV.